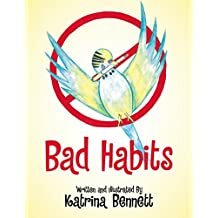 Bad habits a children's book written by Katrina Bennett. Everyone has at least one bad habit. It could be anything to biting your nails. Most bad habits affect the person with the habit. But what if that habit affects someone else ?